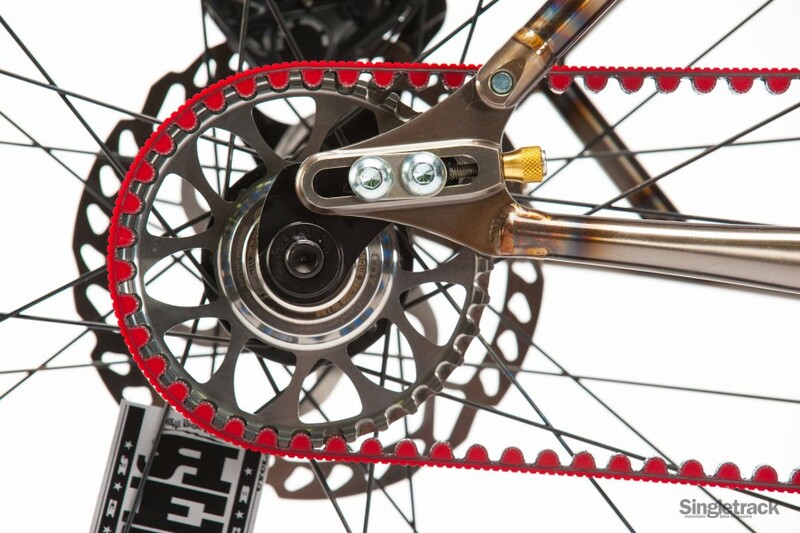 The weak link is always the work force. 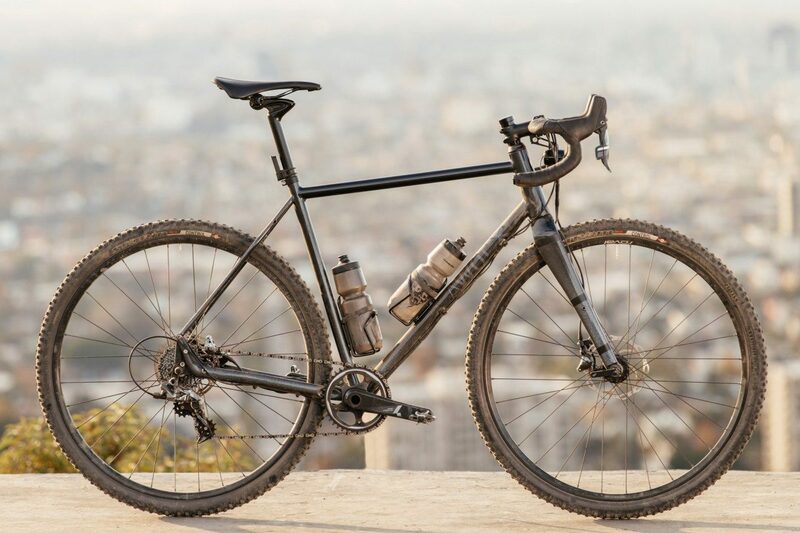 And all the new materials, tube shapes, or joining processes available to the industry cannot mask the compromises that are endemic to mass-produced or even low-volume framebuilding. 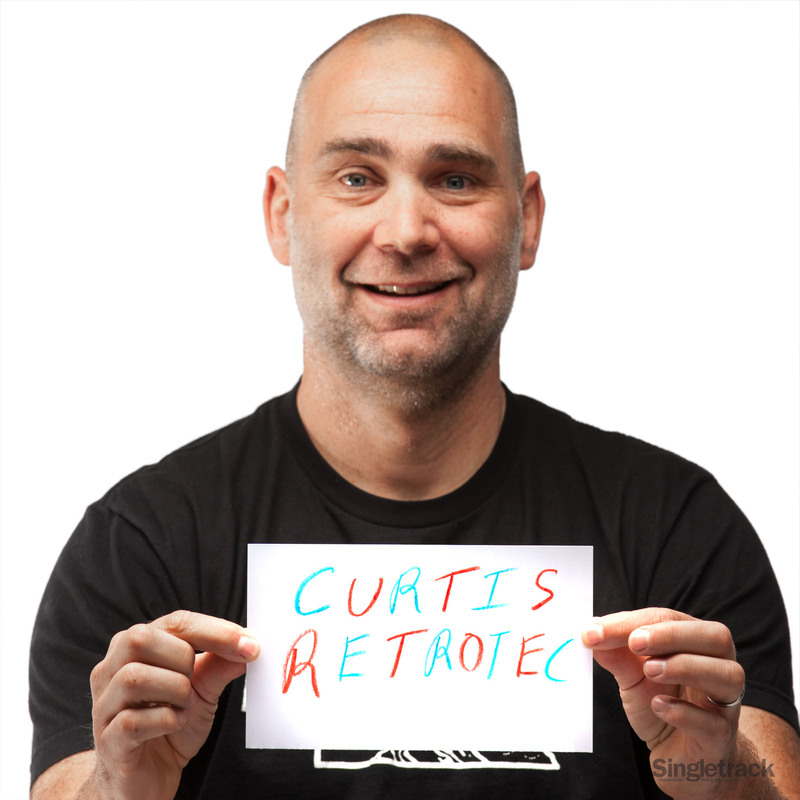 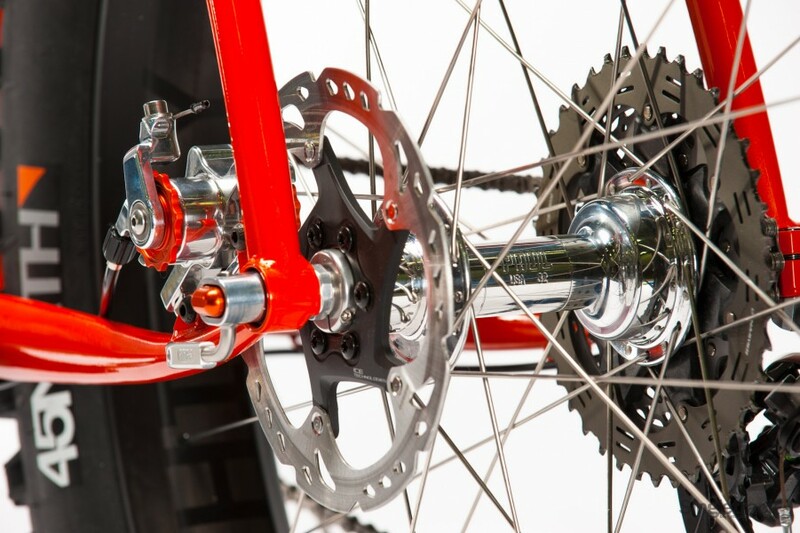 Little, if anything at all, can cover up the shortcuts taken by other manufacturers whose main goal is to produce the most units at the lowest cost. 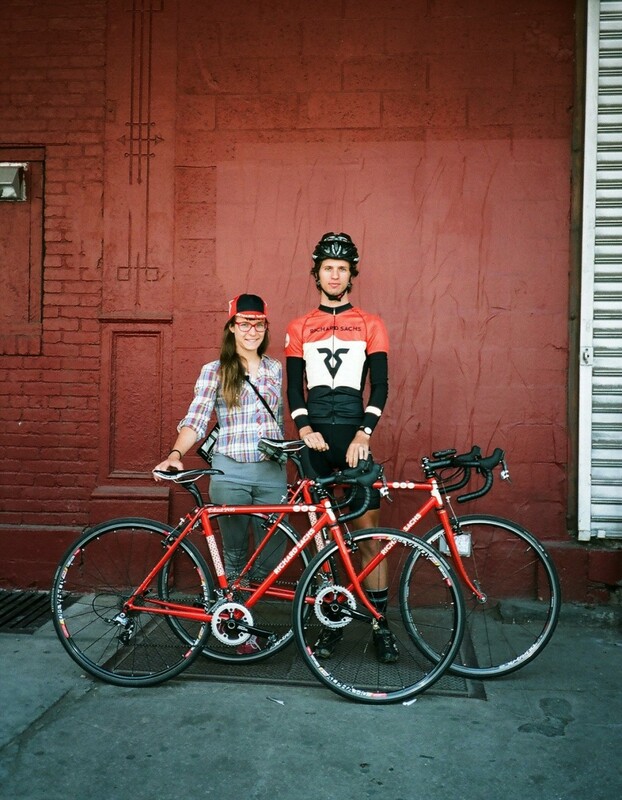 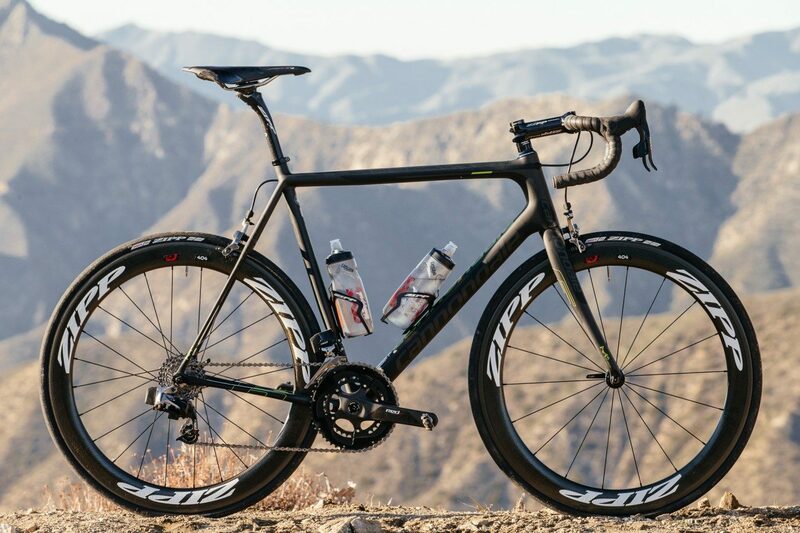 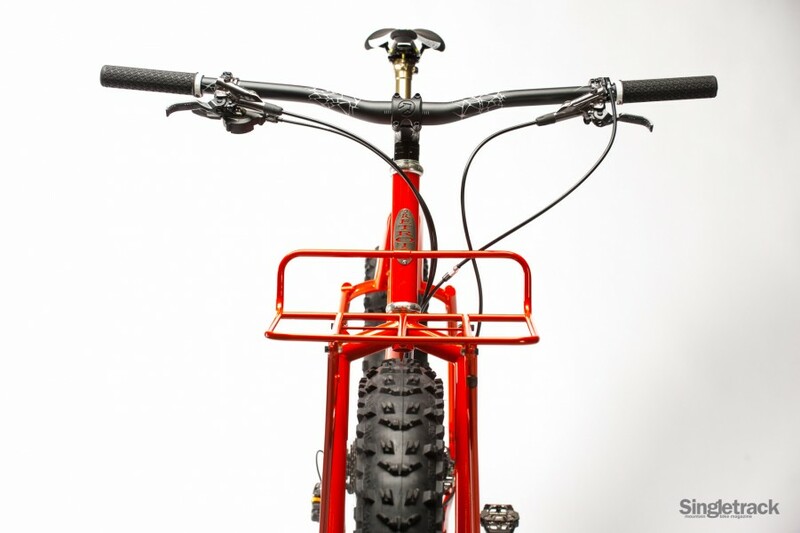 The bike industry makes money. 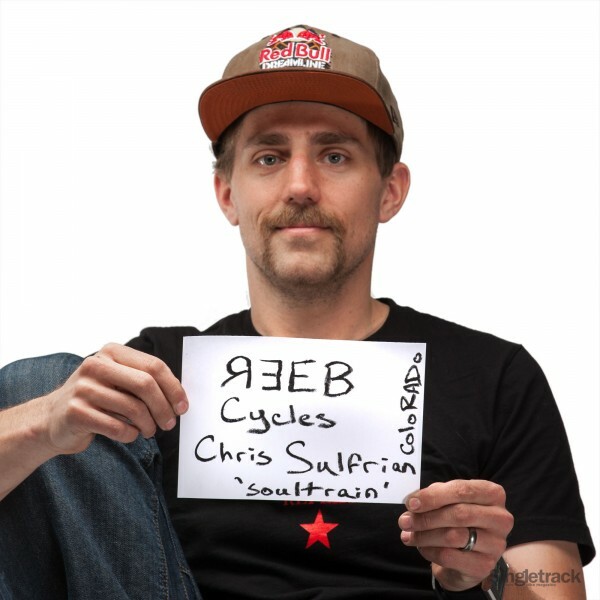 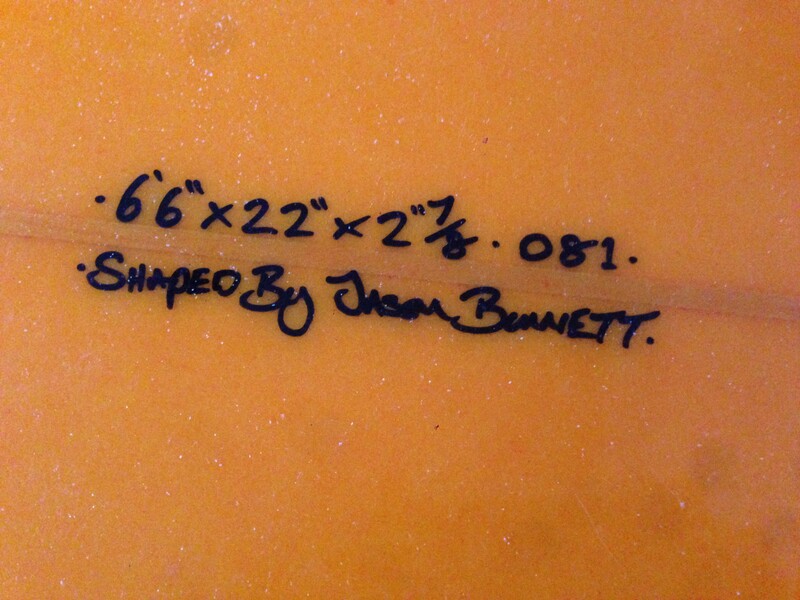 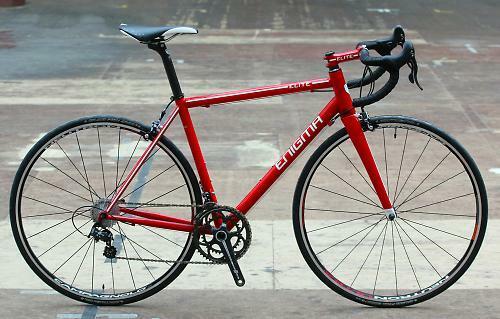 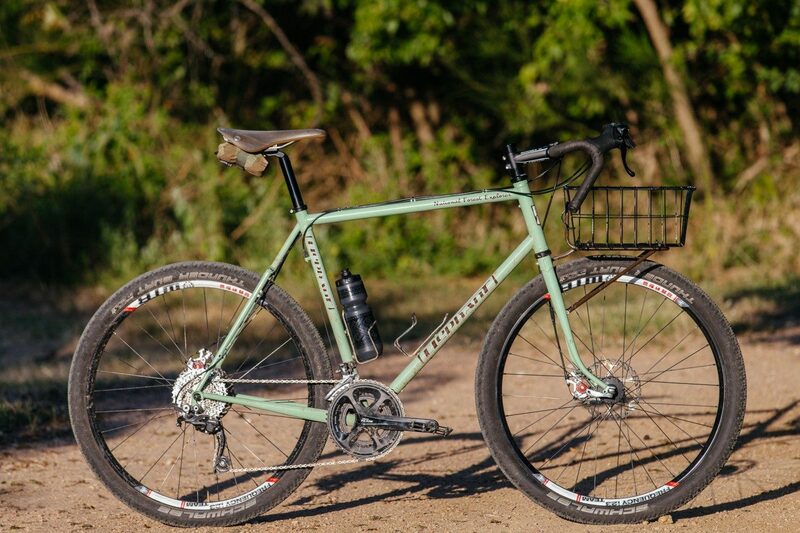 I make bikes. 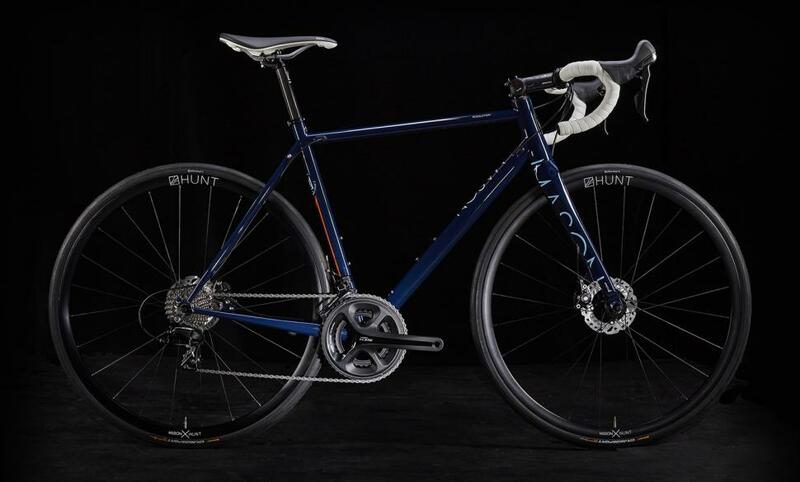 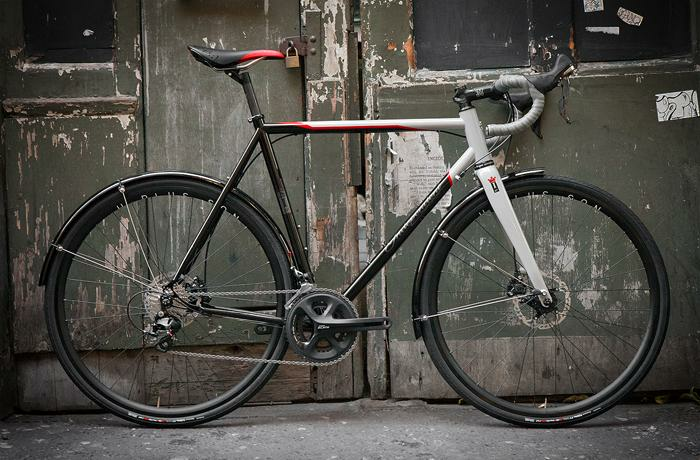 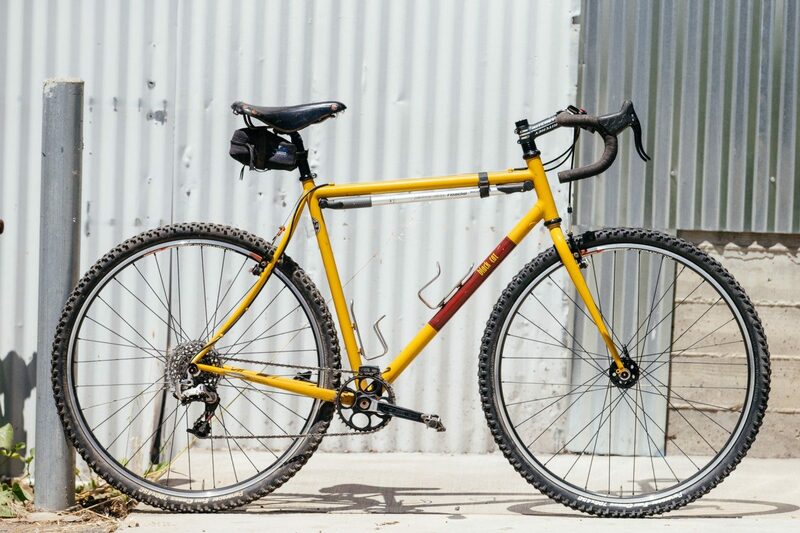 At Richard Sachs Cycles, I am the work force. 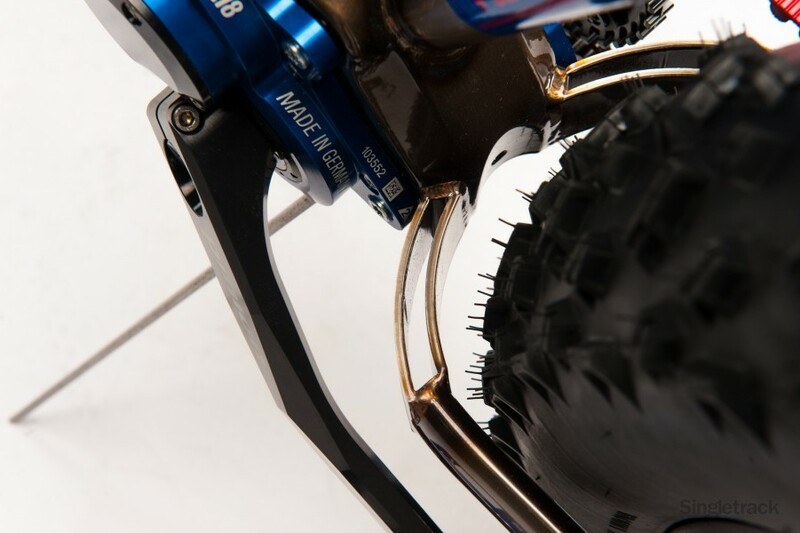 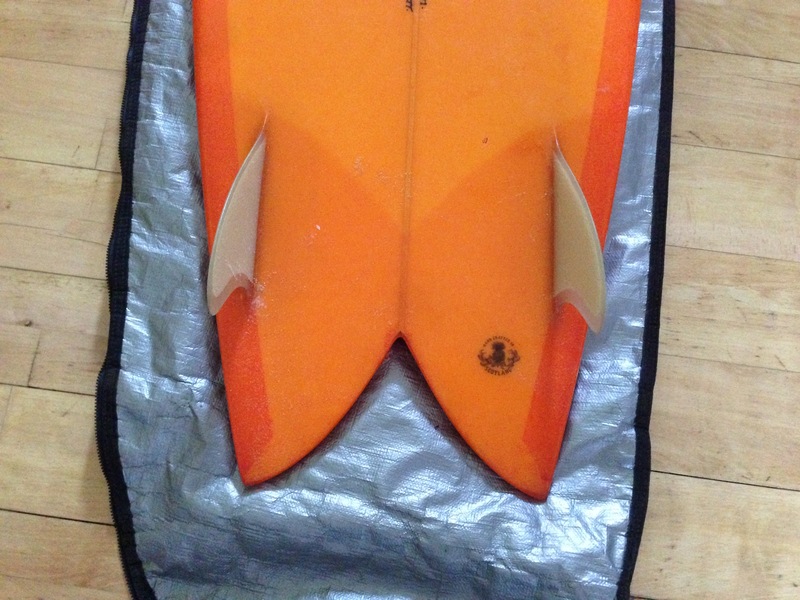 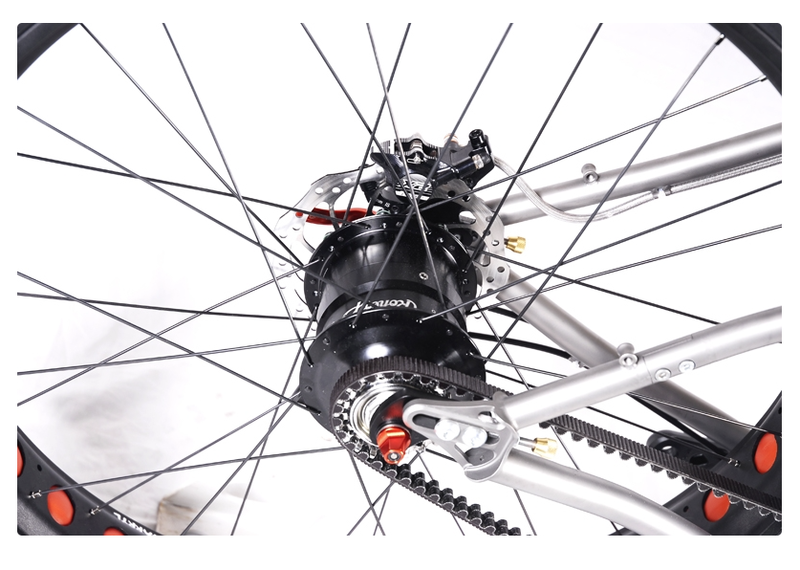 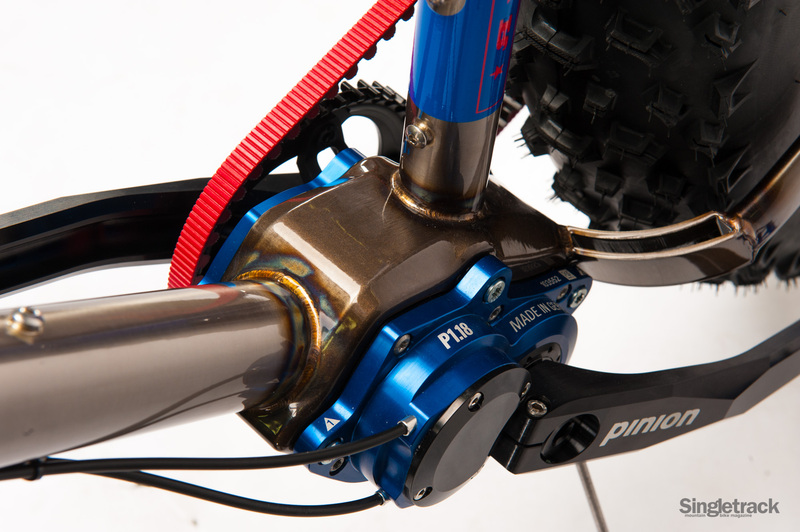 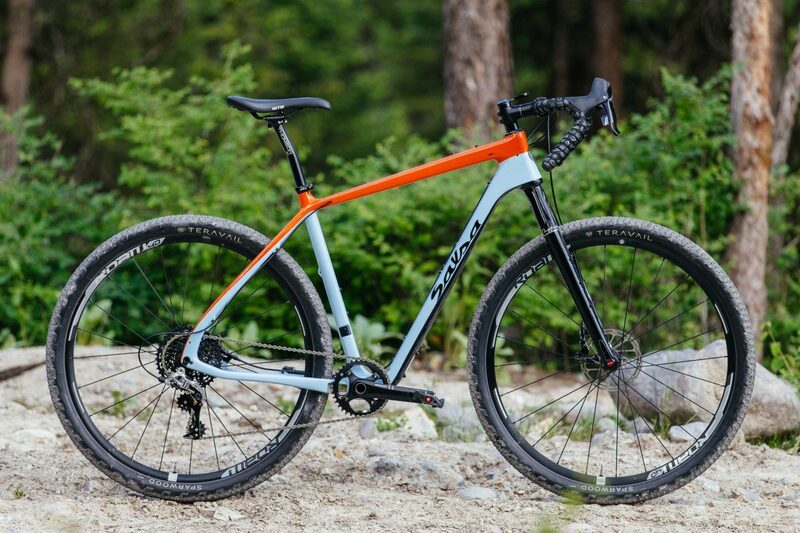 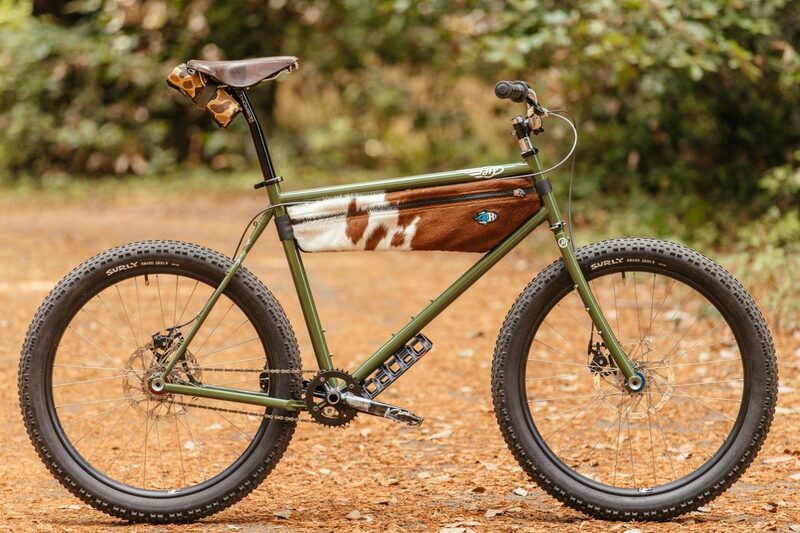 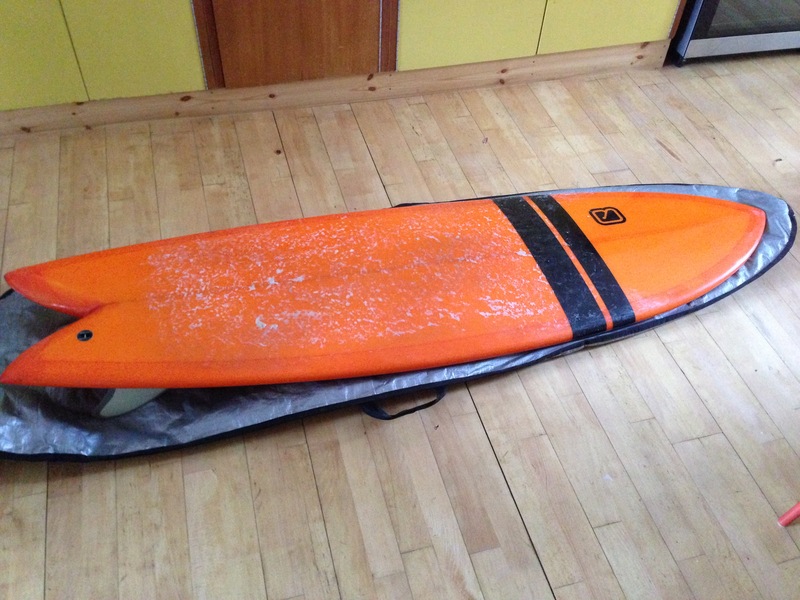 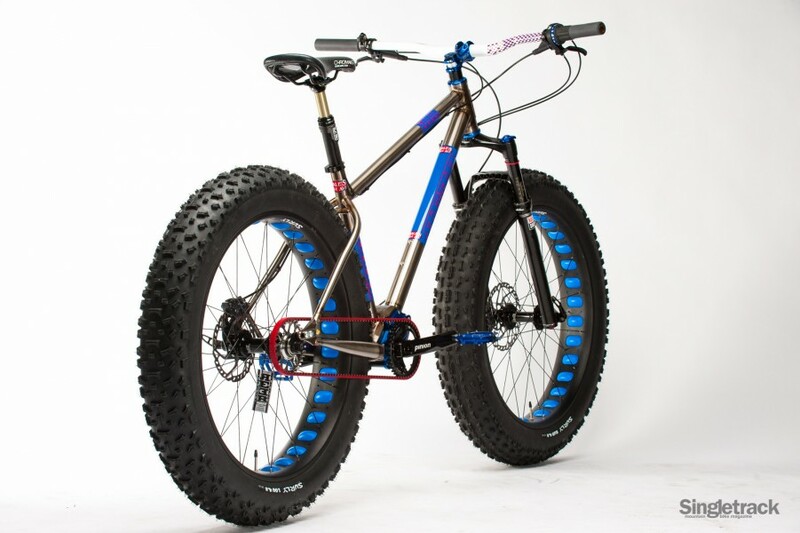 There is so much to love here – my ideal would be ti fat bike Rolloff Gates drive with dynamo front hub to power lights …. 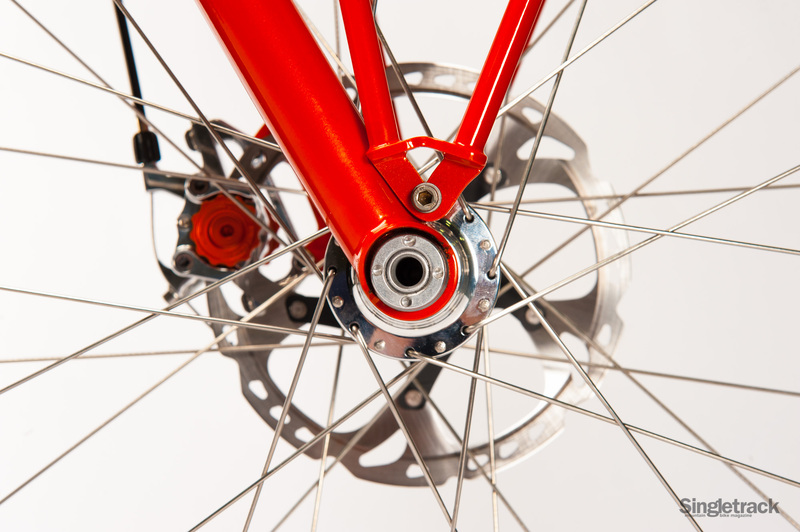 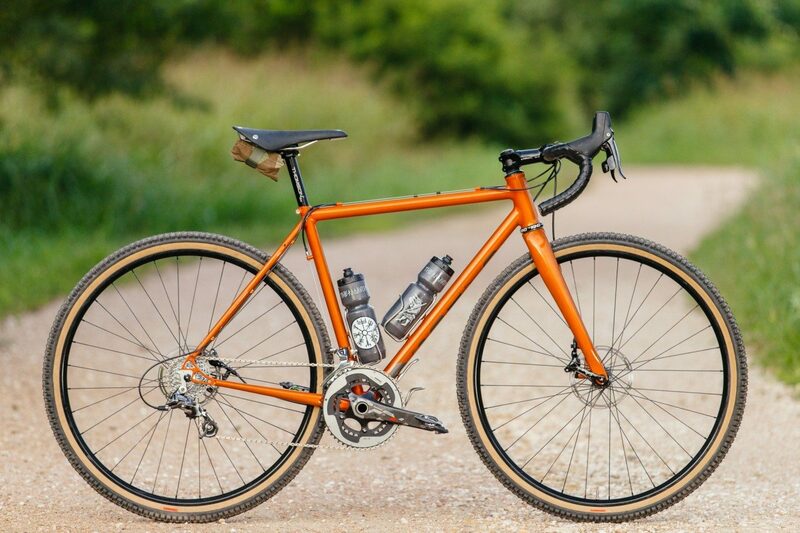 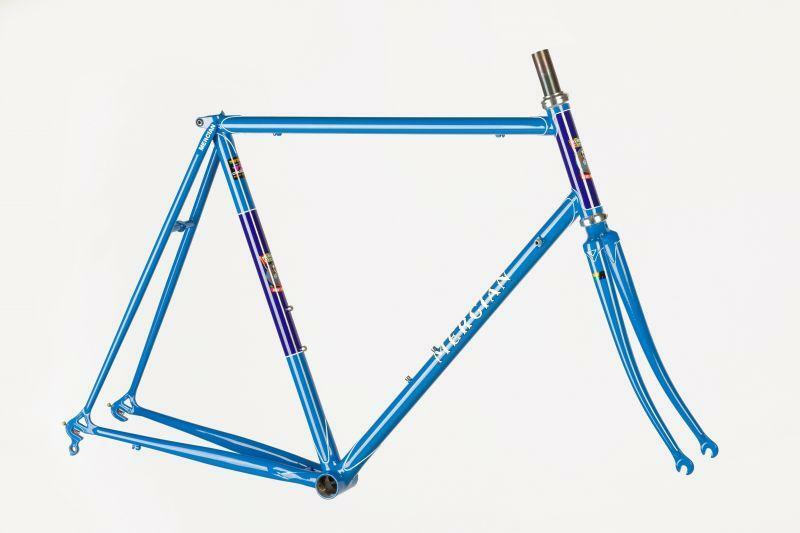 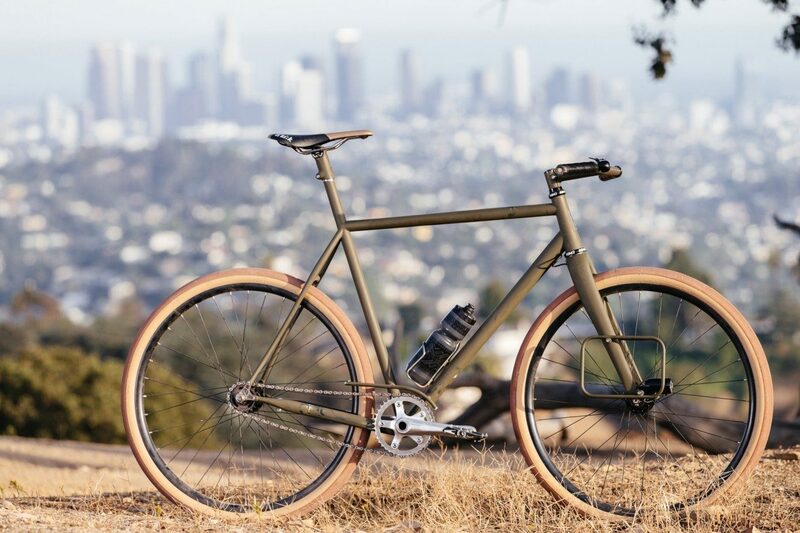 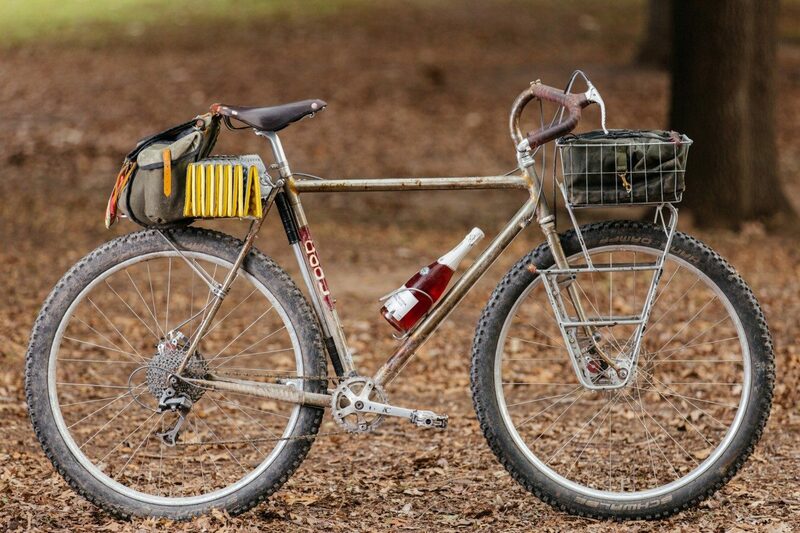 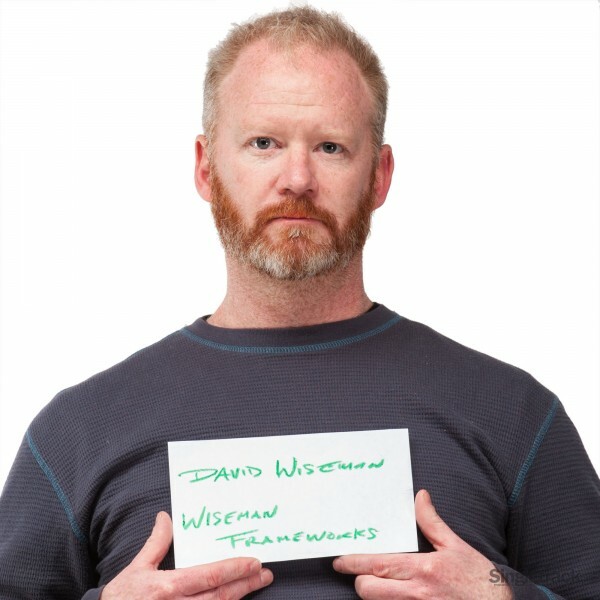 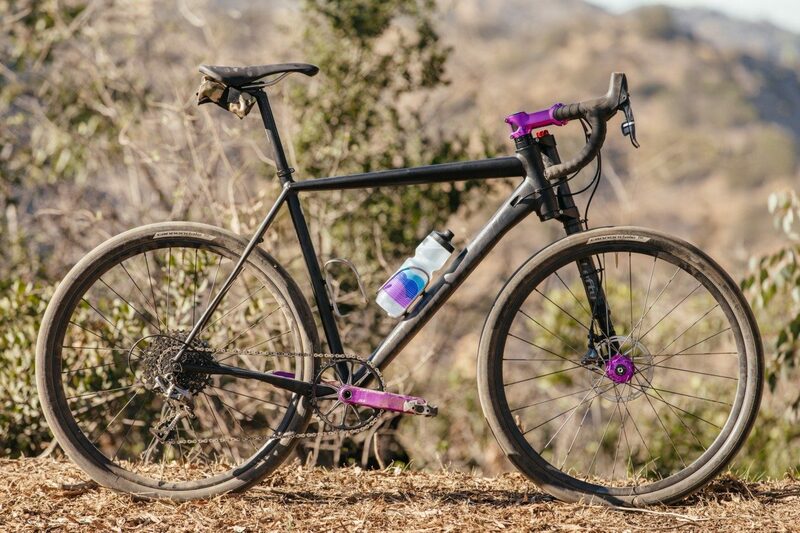 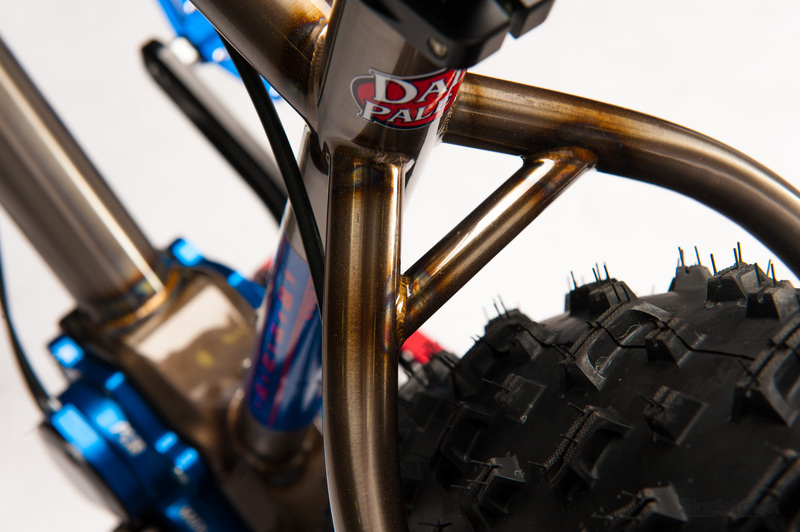 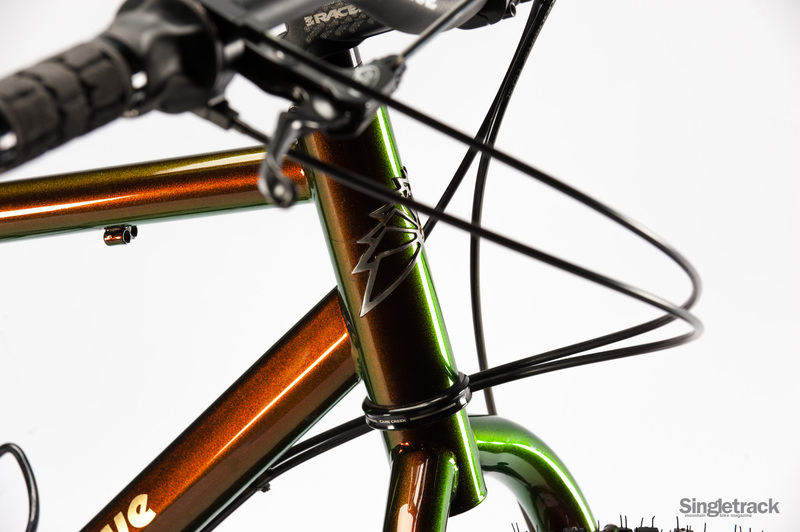 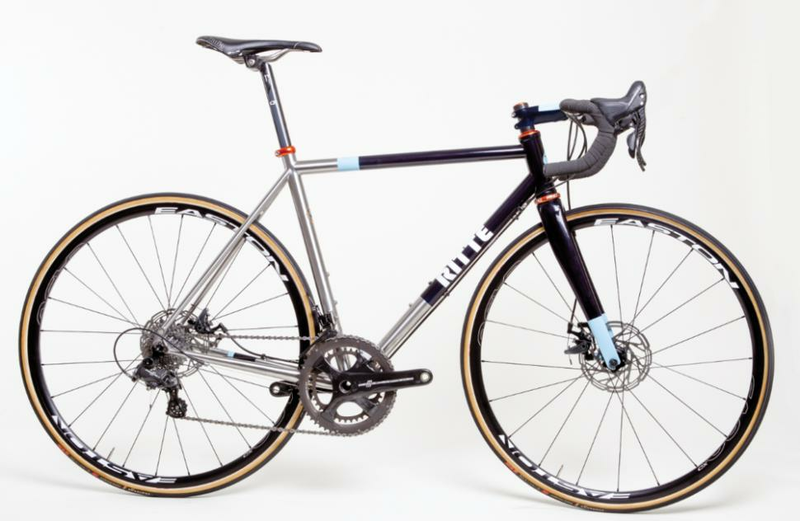 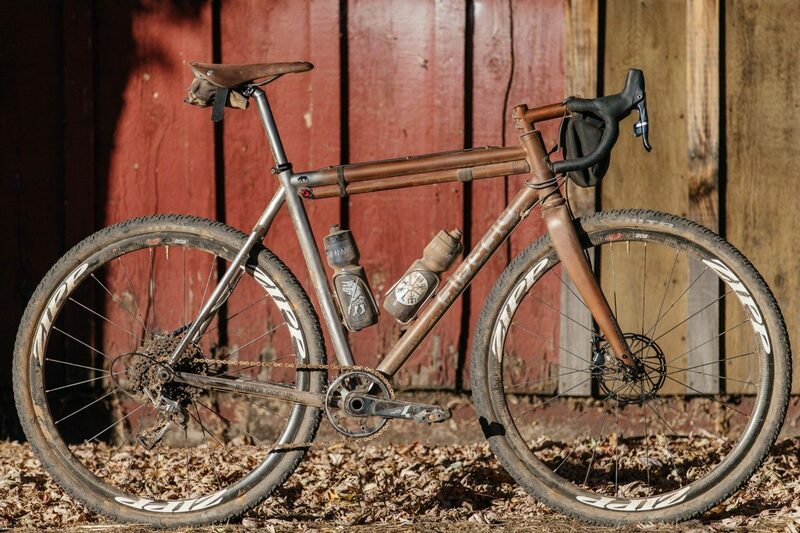 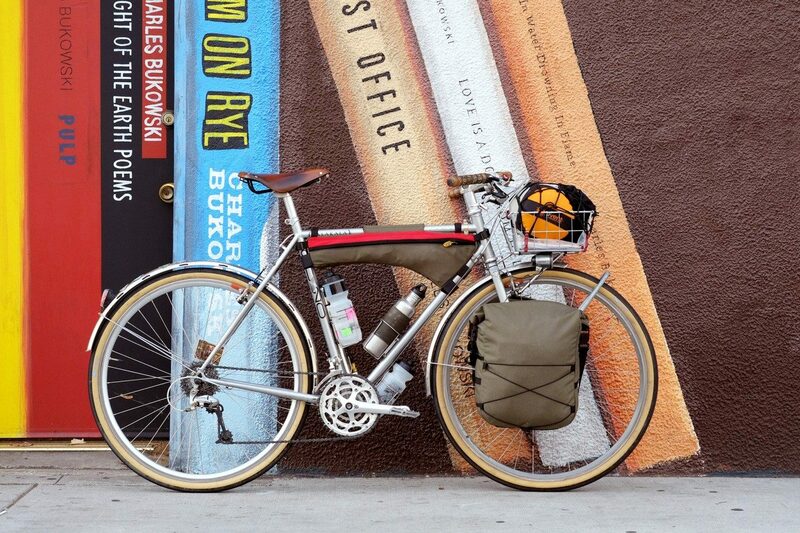 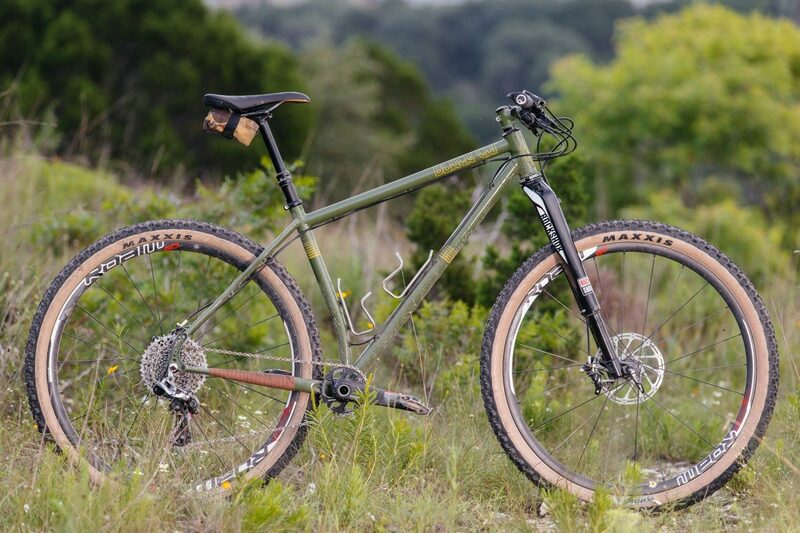 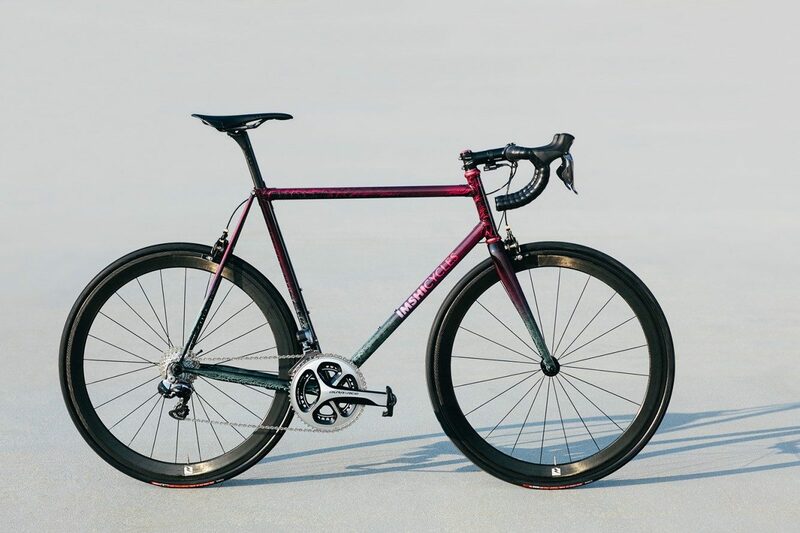 David Wiseman is the rare mountain bike builder still choosing classic brazed steel construction throughout. 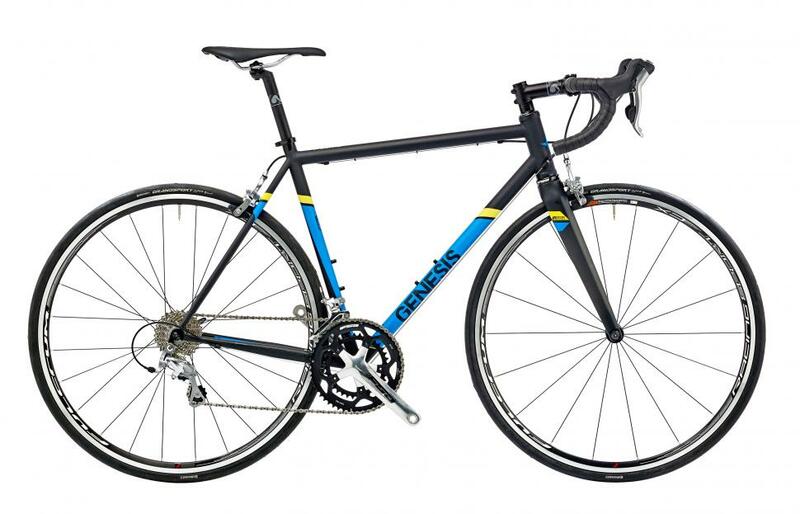 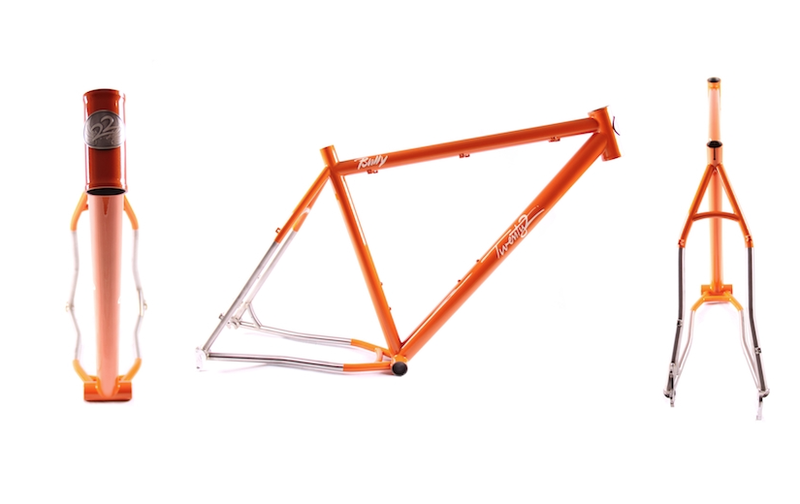 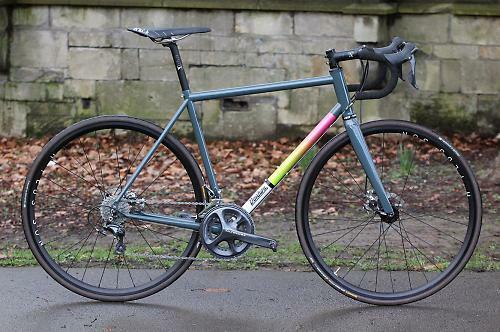 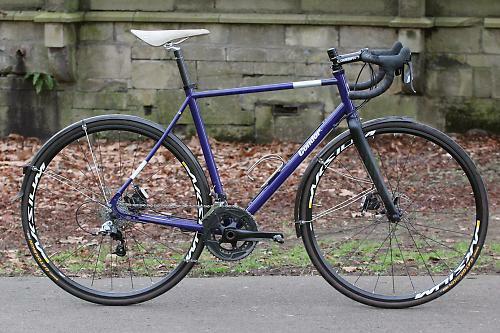 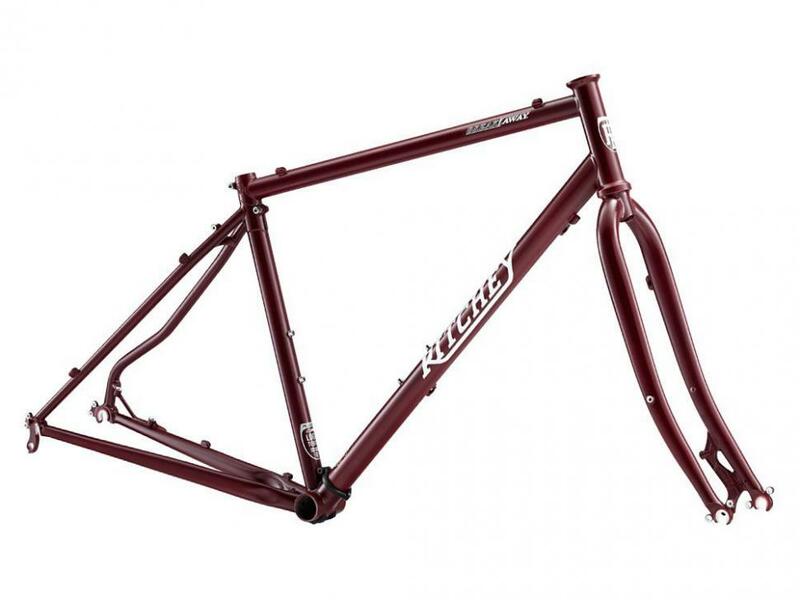 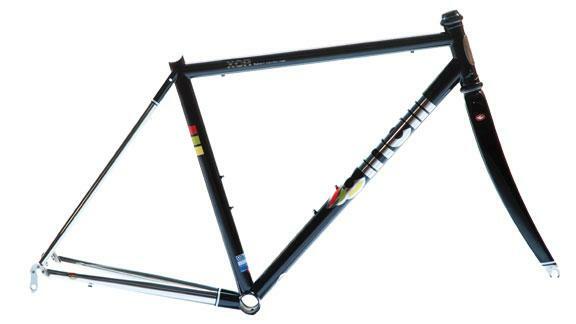 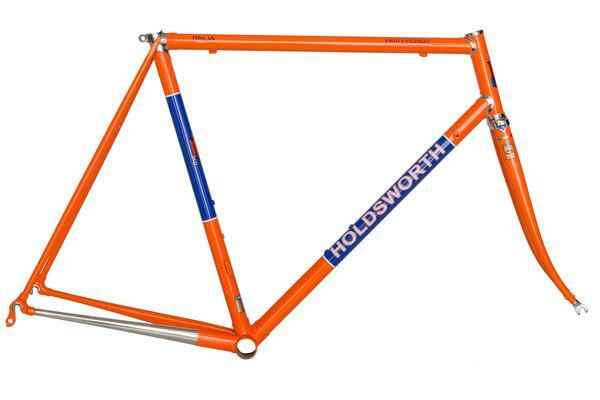 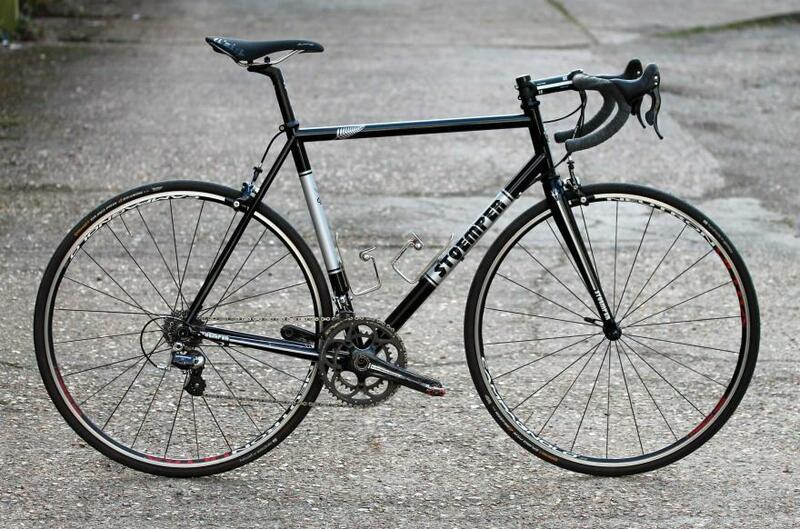 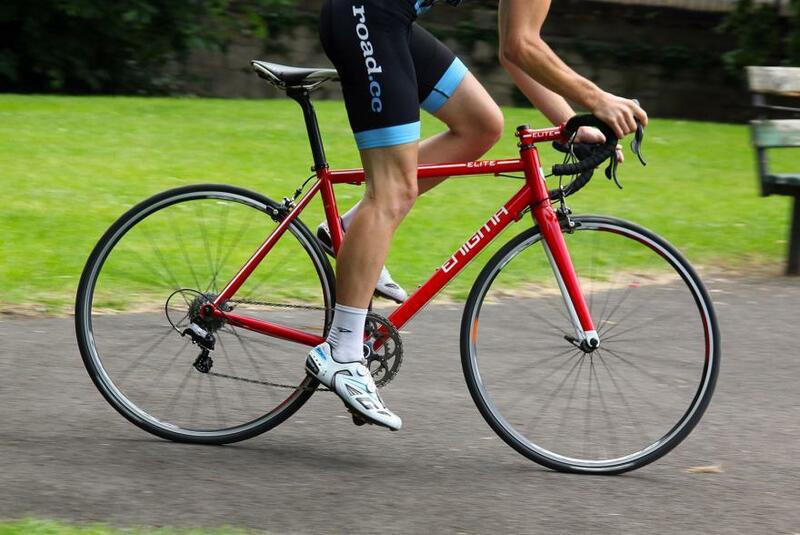 Done well, brazed frames look seamless like carbon, yet the tubes remain classically proportioned. 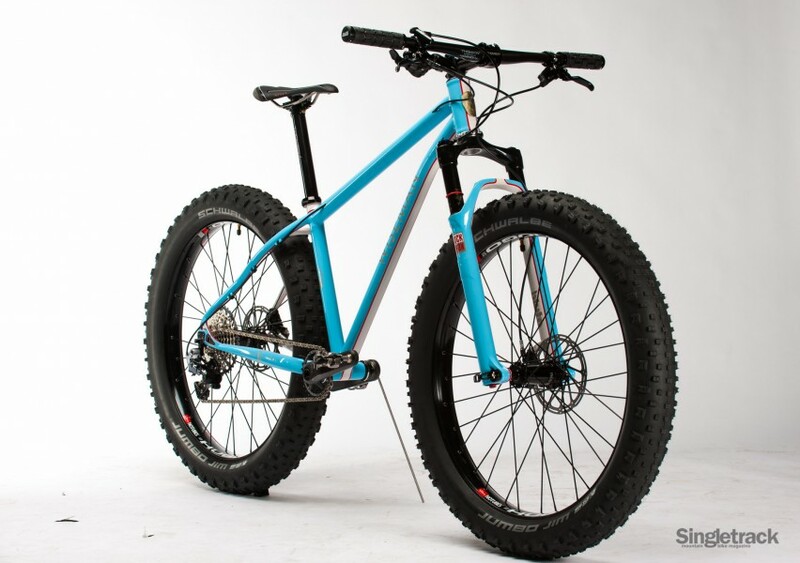 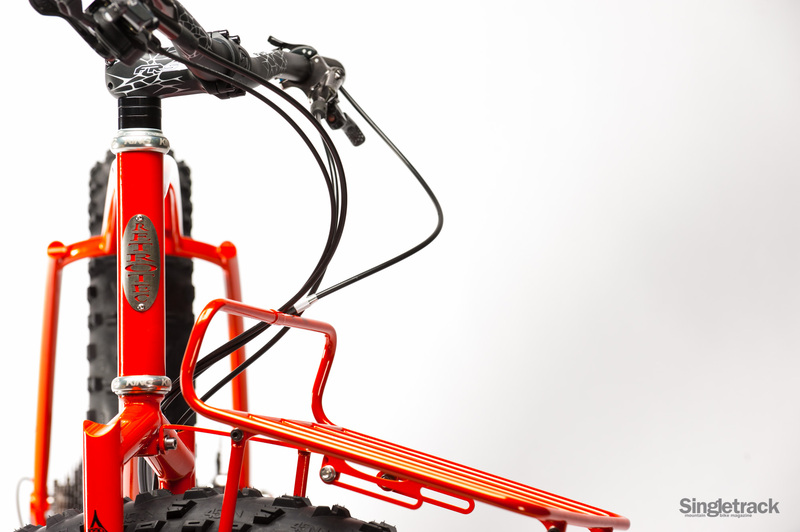 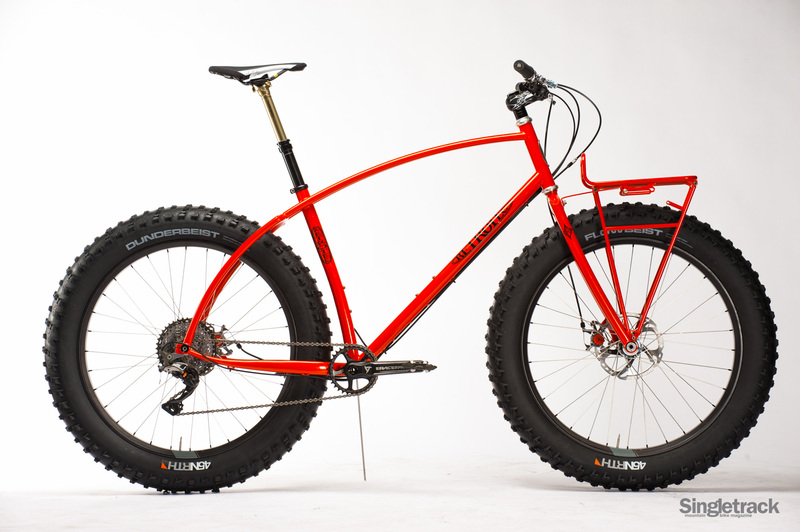 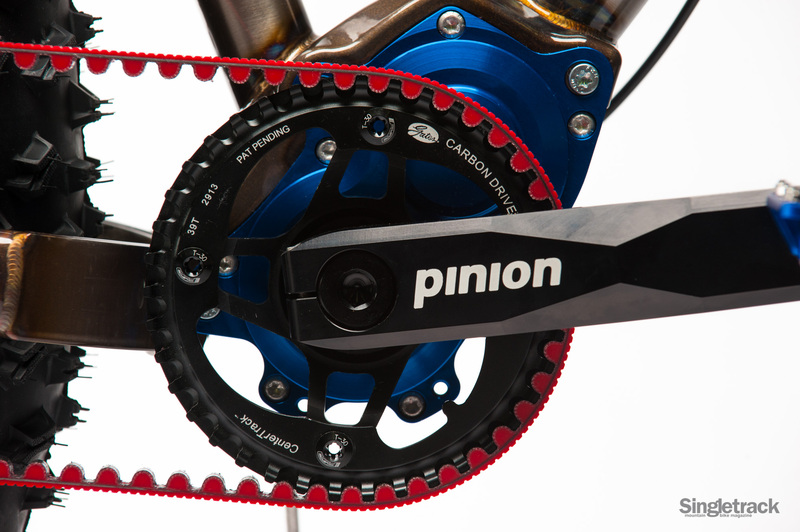 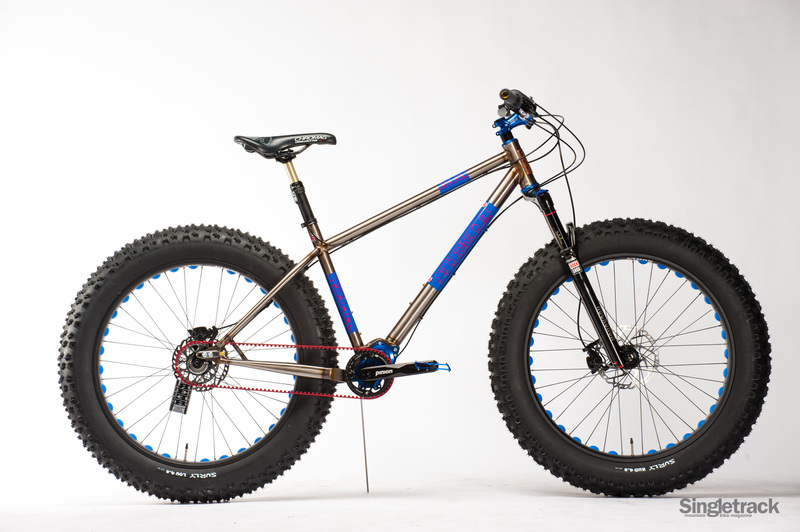 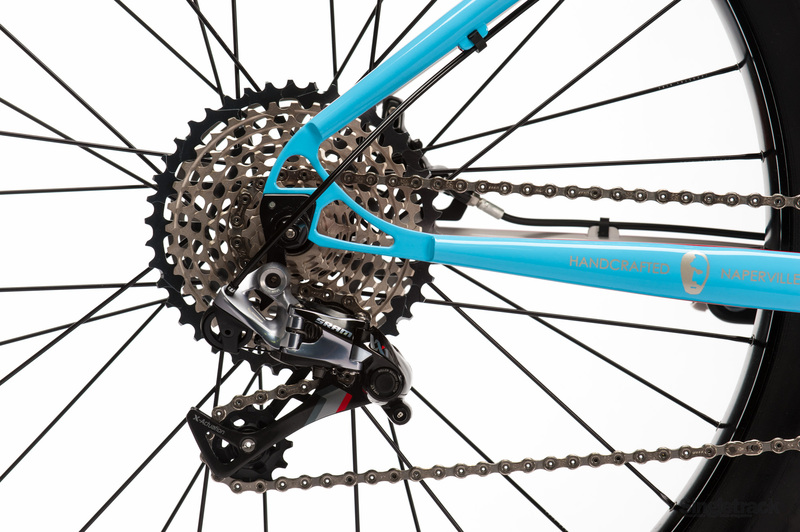 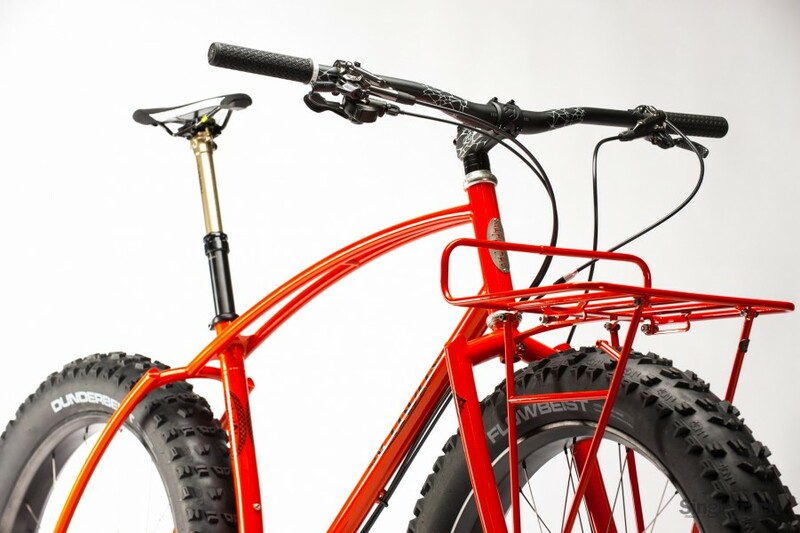 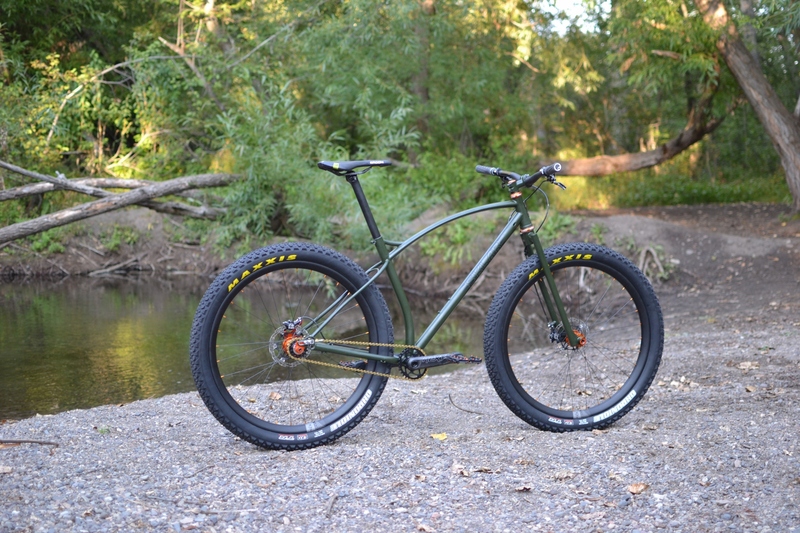 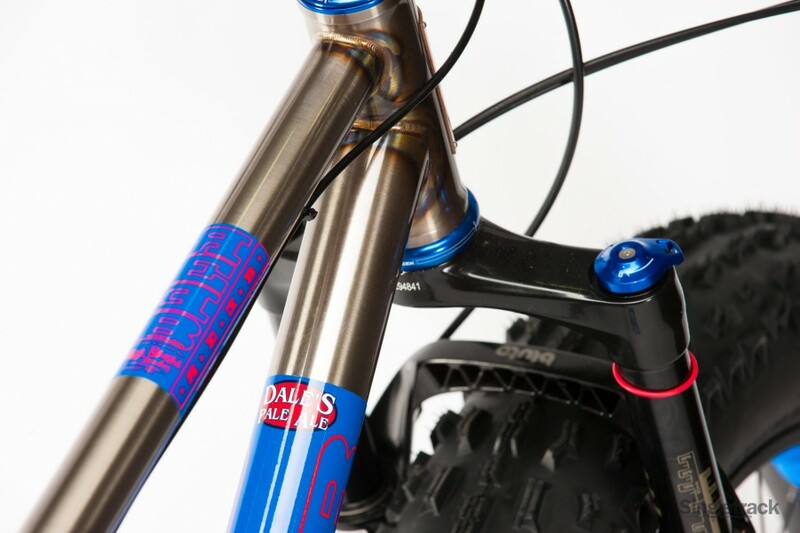 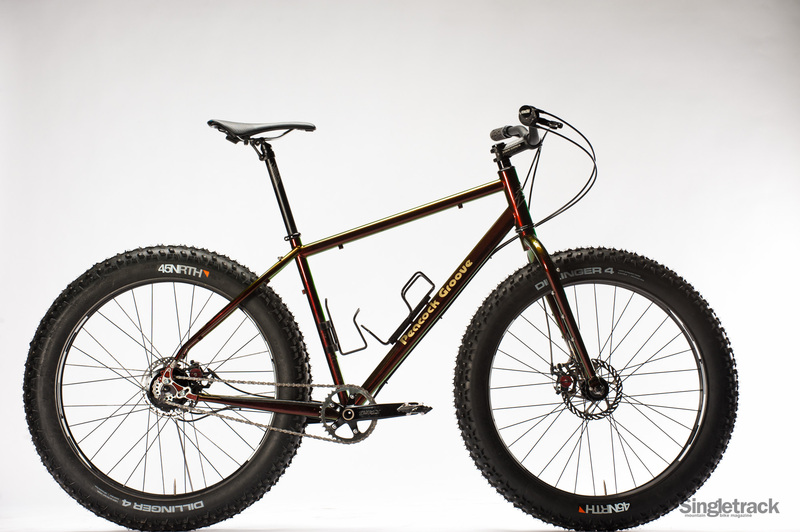 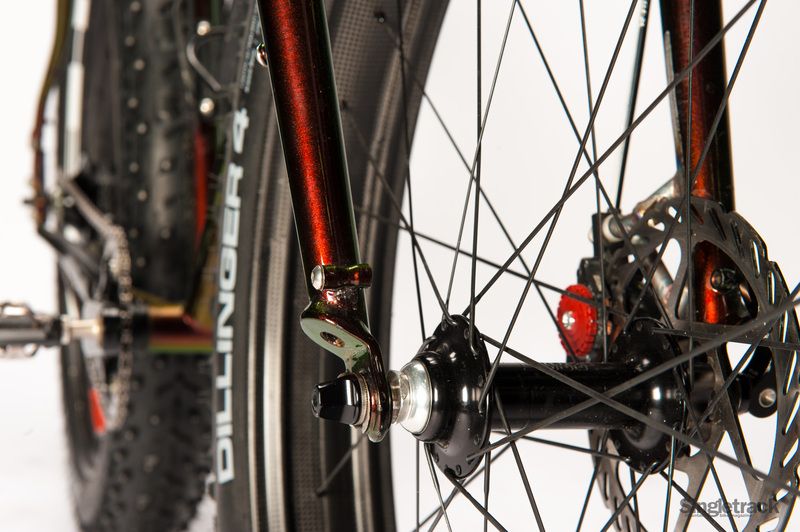 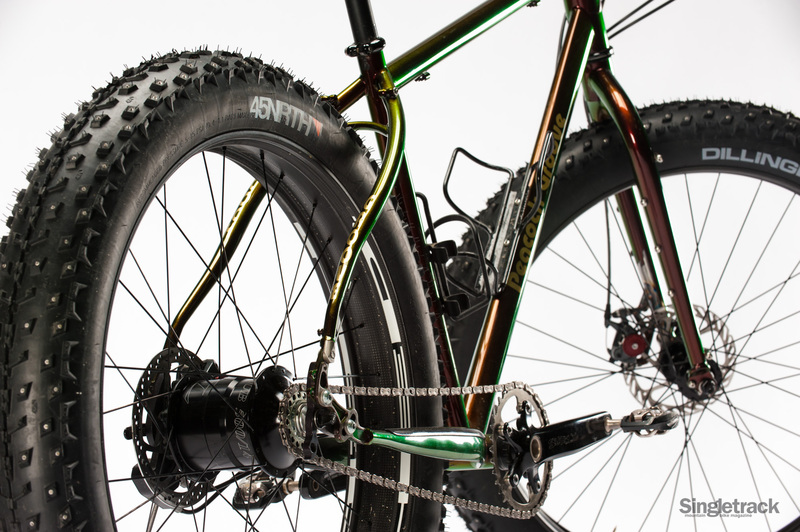 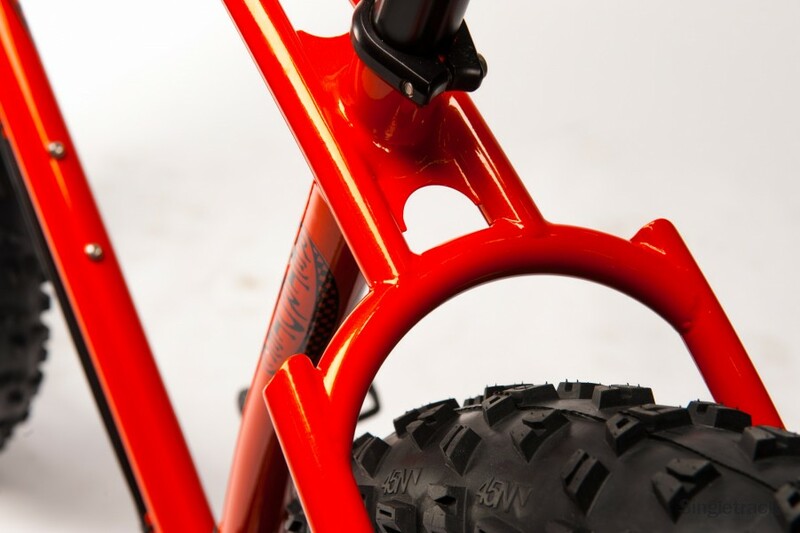 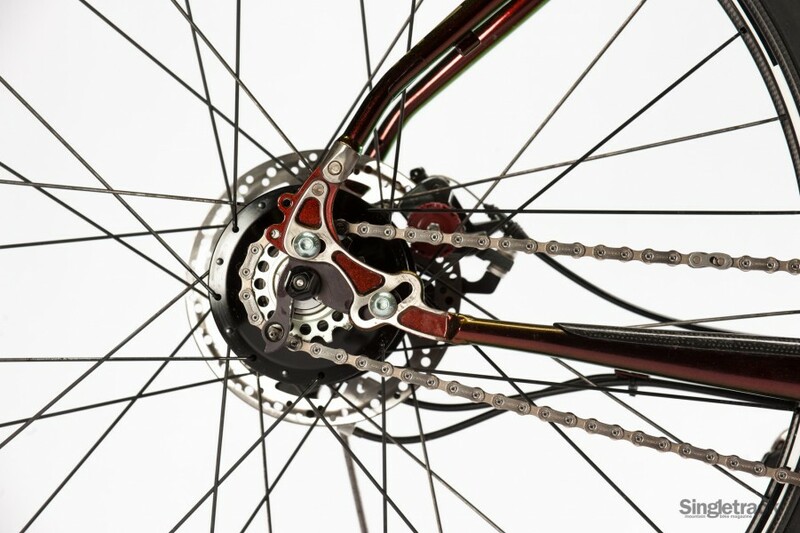 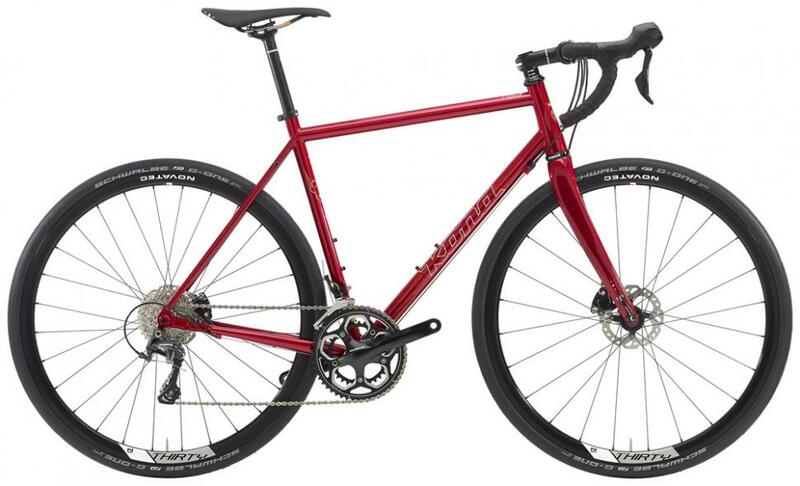 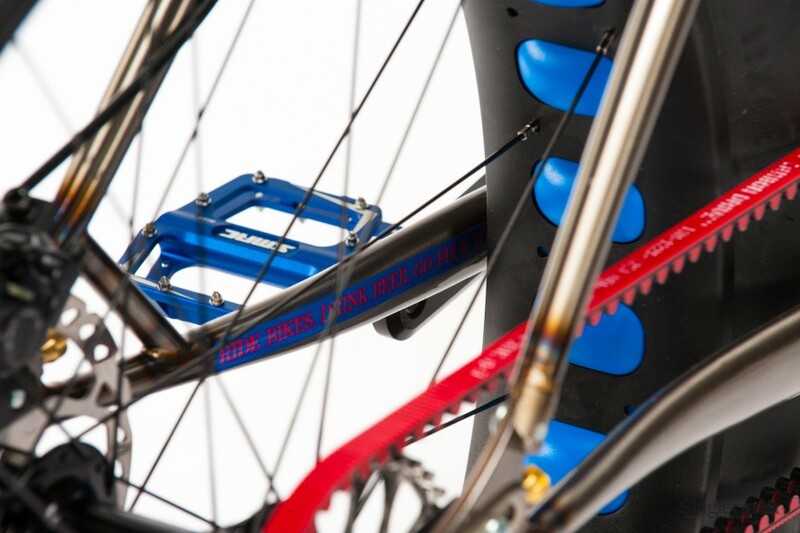 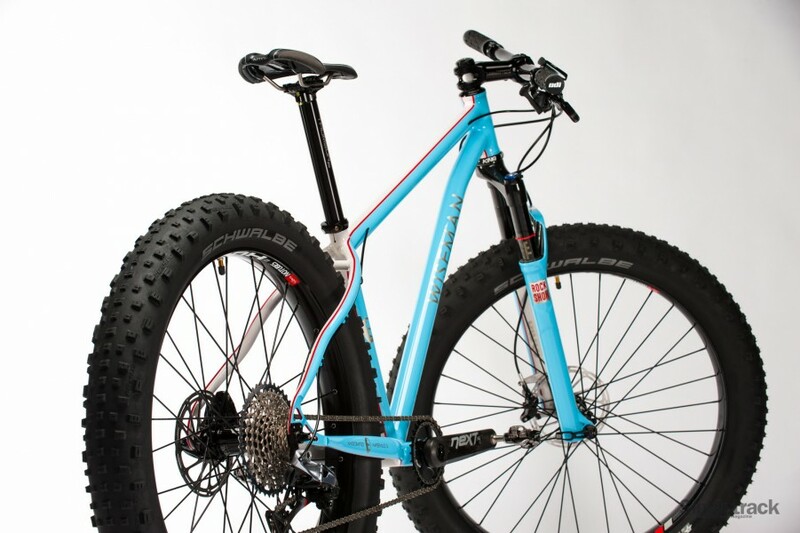 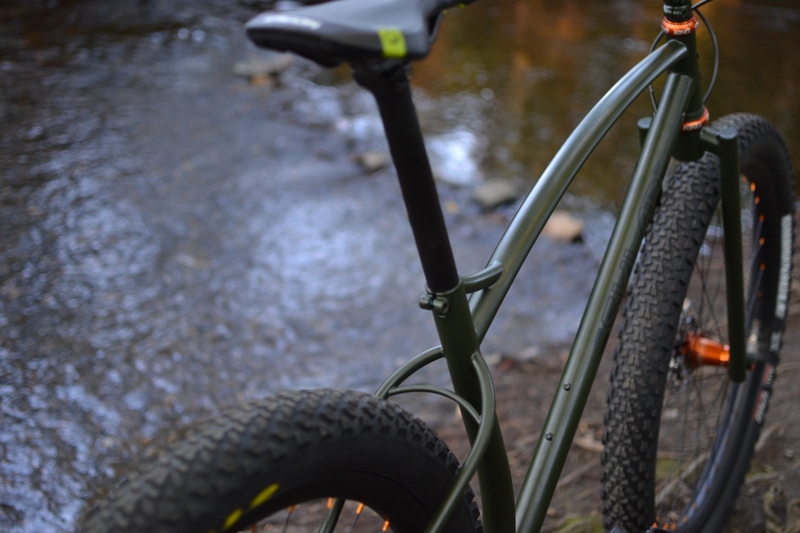 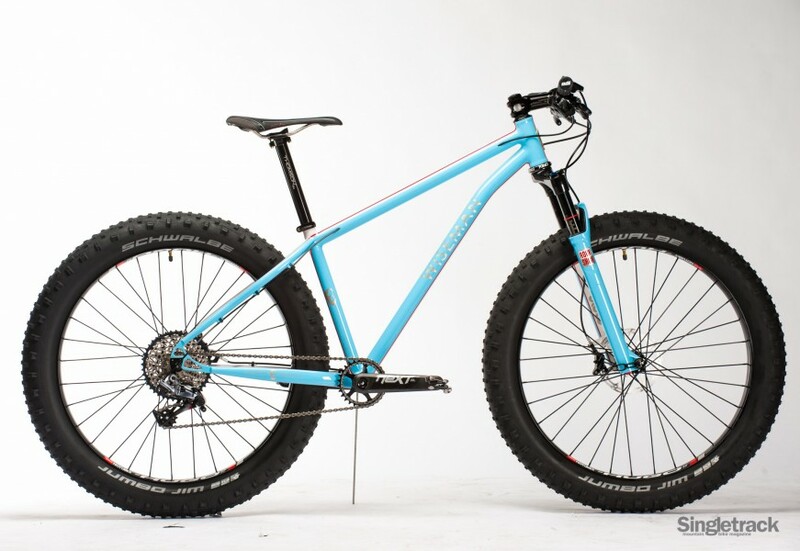 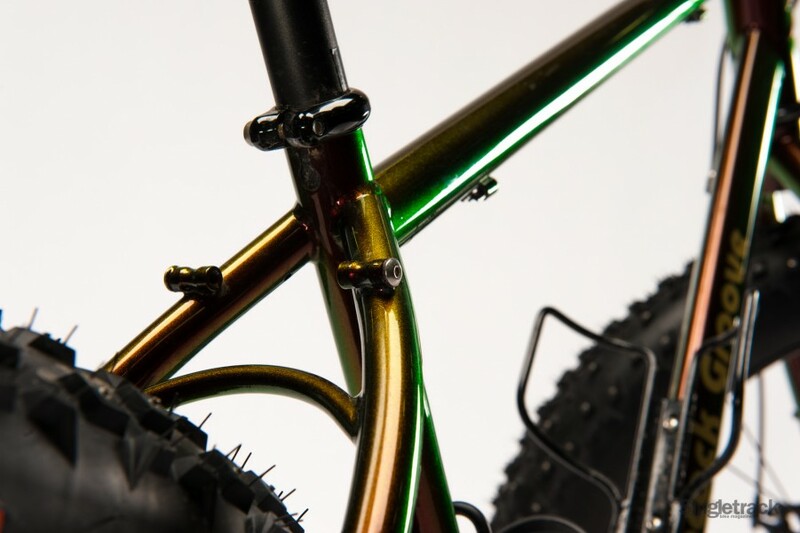 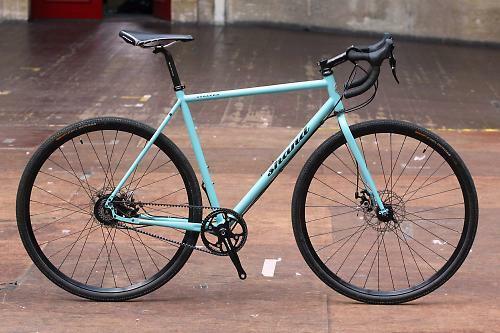 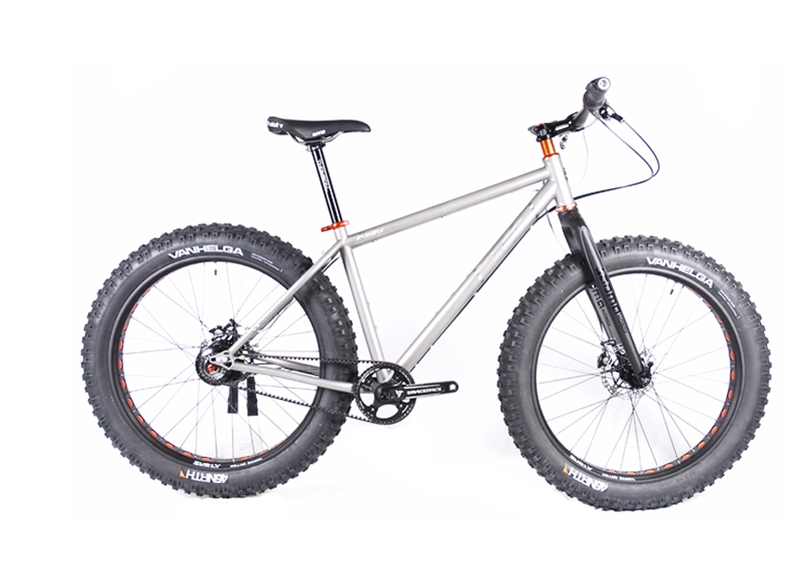 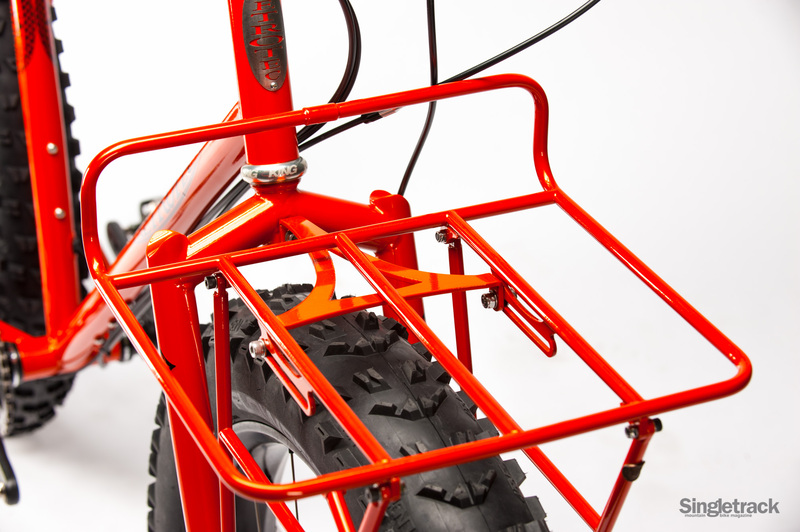 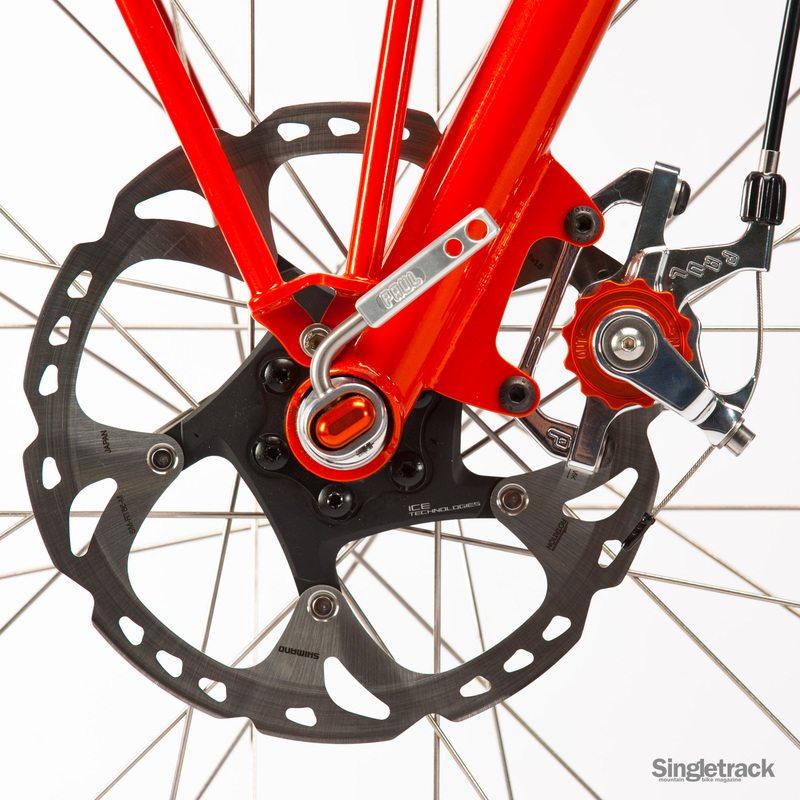 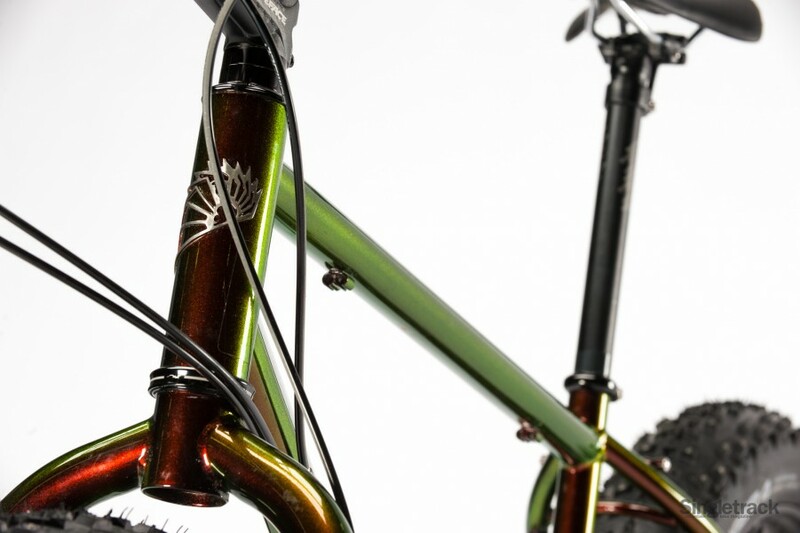 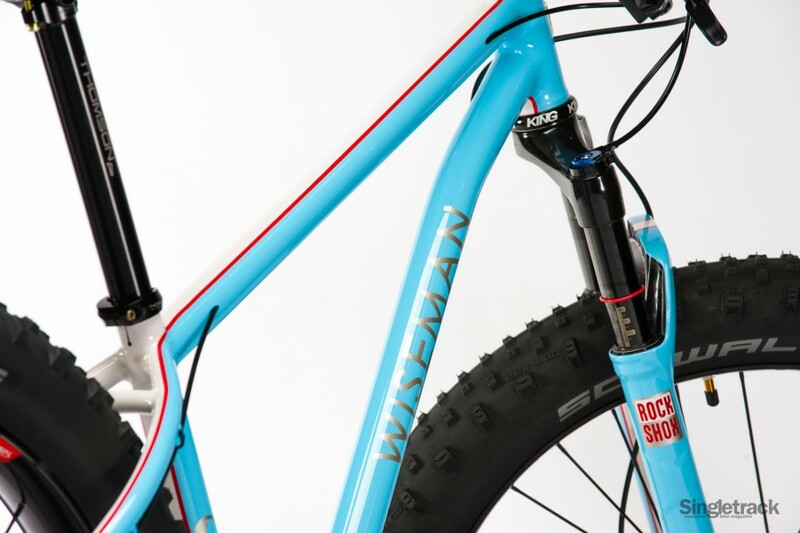 This fat bike features internal front triangle cable routing, and impeccable paint finishing.